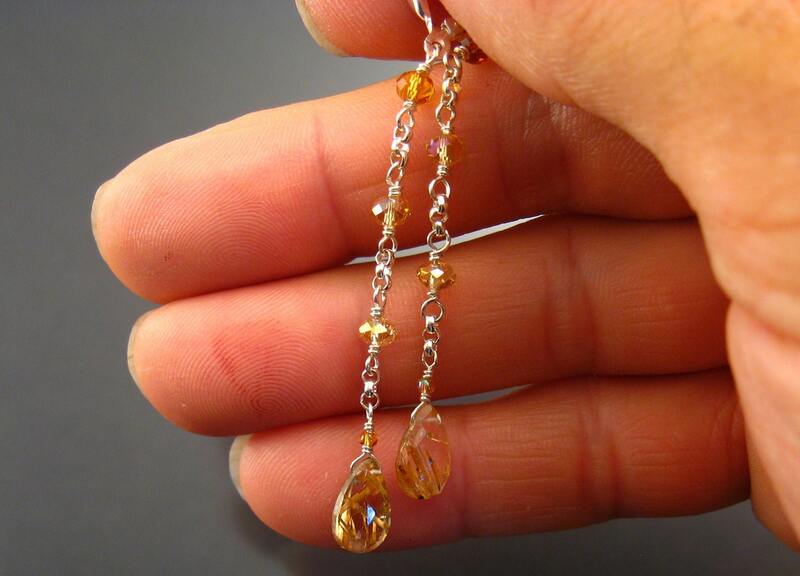 Rutilated Quartz pear shaped Briolettes on 2mm rolo chain. This beautiful material comes from Brazil. 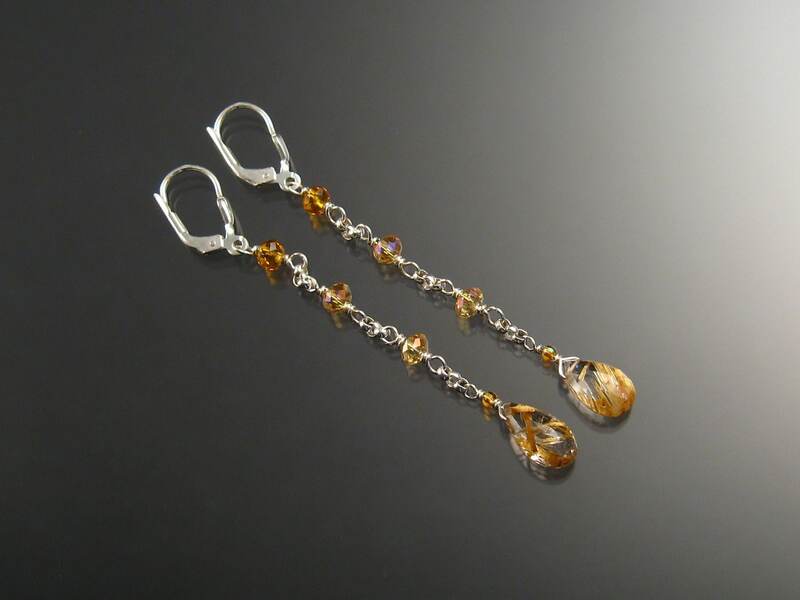 Set with multi-colored crystal beads. 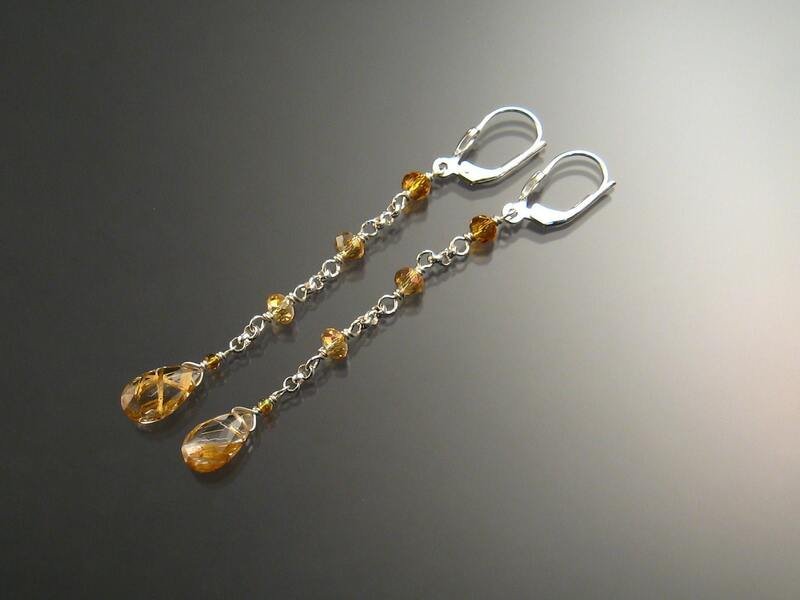 3/8"x 3" overall length. Lever-back ear-wires.